OK the Iowa City trip took a bit longer to complete than originally intended. My venture north summed up how the entire journey would ensue – ragged, but full of glory. I left New Orleans at 7:00 AM, with the idea of getting to somewhere north of Memphis, Tenn. I figured if I get to a point where I have eight hours or less driving left for the following day, that’s an easy pull into Iowa City. I can get up early and be there by mid-afternoon the following day. Besides it’s Saturday, and there’s a ton of college football on throughout the day and evening – I can find some carry-out and chill in a hotel overdosing on sports. This is a long drive, but easy – just a straight shot north. If only there was such a thing as auto-pilot, because this path has few twists or turns, and I could recline in the back on my computer happy as a clam. This path across the United States isn’t overwhelmingly scenic, but there are enough cities, rivers, bridges and landmarks to break up the landscape. In total, it’s a 925 mile trip, and takes me from the toe of Louisiana, through the length of Mississippi, including Jackson, the capital, and past Oxford, where ‘Ole Miss University is located. I briefly enter Arkansas, then cross the Mississippi River into Memphis, Tenn. Being a barbecue-a-holic, Memphis is a mandatory stop for a fix of hickory-smoked pork. As far as BBQ joints per capita go, Memphis offers the most comprehensive selection of BBQ on every level of anywhere in the country. I prefer pork to brisket and sausage (not that there is anything wrong with them), but that eliminates Texas for me. I prefer wet ribs or pulled pork, with a tangier-based red sauce, which takes the Carolinas out of the argument. I’ll give a nod of my hat to Kansas City though, they are a close second to Memphis. It doesn’t matter if it’s early, late or I’m not even hungry – I stop in Memphis regardless. Depending upon the time of day, and what day it is, dictates what is open. This is the South, and places are closed on funny days and often keep strange hours. One of my favorites is the Cozy Corner, http://www.cozycornerbbq.com, whose rib tips are off the hook, and would feed an army. There’s always funny shaped people in here picking up carry out orders of rib tips in particular, for lunch, and it makes me wonder what they must consume for dinner – the entire rest of a pig?!? I can get my eat on and all, but I can barely dent an order of rib tips. They usually end up being four meals, and that’s without sides. Also the Cozy offers BBQ Cornish game hens. Where else can you find that on a menu?They also offer a ridiculous smoked BBQ baloney sandwich and BBQ spaghetti. The Cozy works well if you’re pressed for time. The carry-out is quick and they’re located near the interstate. If you have the time to sit down and dine I usually choose Rendezvous, http://www.hogsfly.com/TheRestaurant.php, located in an alley across from the Peabody Hotel, and their famous marching ducks, http://www.peabodymemphis.com/peabody_ducks/index.cfm. Rendezvous is recognized for their dry rub, charcoal fired ribs – I still prefer them wet, and they will accommodate that request with a tangy sauce, but regardless, these ribs are killer! I also should mention the staff at Rendezvous. This place is an institution to the people of Memphis, and to all who visit the city just to dine at Rendezvous. To say they have little staff turnover at Rendezvous is an understatement. Some of the waiters have been here for 45 years. Check the link on the restaurant’s Web site, and read the brief bios – you have fathers and sons both working at Rendezvous. It’s a special place to dine and one of a dying breed in America. As a wild card when traveling through Memphis, there is the occasional trip where I’m just burned out on BBQ, but not to worry. There’s fried chicken. Gus’s Fried Chicken belongs on the list with the best fried chicken in the country. I am blessed by living in New Orleans, where Willie Mae’s Scotch House is located. This James Beard award-winning chicken shack is roundly recognized as the best country fried chicken in the land, but on any given day, Gus’s spicy fried chicken is as good or better. Since it was early, and I was trying to make time, I made a quick stop at Cozy Corner and got back on the road. I’m cutting across the narrow, vertical expanse of Tennessee, paralleling the river. It’s remarkable how little time it takes to drive across the state. In no time I’ve entered Missouri. 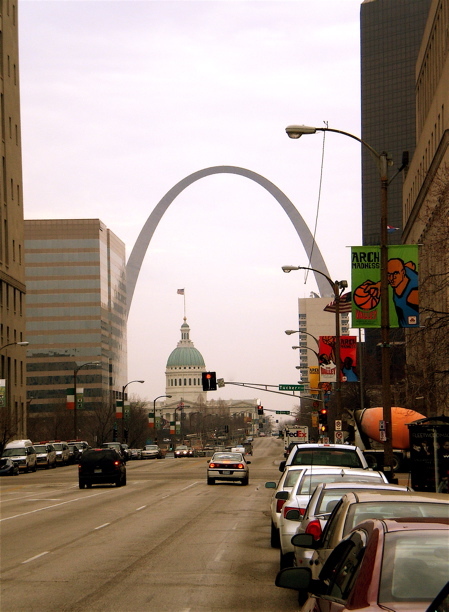 The St. Louis Arch rises above the downtown. This is good and bad. I’m happy for the progress, but now I have a long path through the meaty length of Missouri. 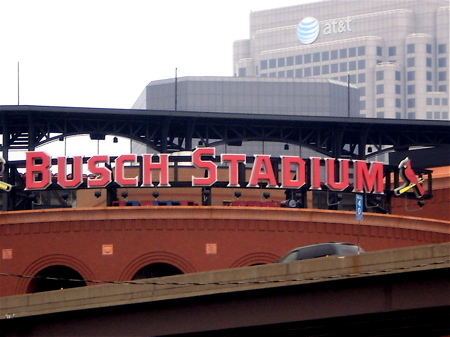 The only reprieve is St. Louis – where I can witness some civilization, the famed St. Louis Arch, Anheuser-Busch, the Cardinals’ new stadium and most importantly, presents another opportunity to pick up a snack. I grew up on White Castle hamburgers, but the franchise has the good sense not to over-expand, so I can only get them when traveling. I definitely have the CRAVE, and picked up four cheeseburgers and an order of their golden fried onion rings. It’s raining like hell at this point, sheets of water, so much so that all the cars are pulling off the road. I couldn’t be happier. I have my White Castles, and it’s easier to dress them when not talking on my cell phone and trying to drive at the same time. Once I got into Missouri, I started chatting on the phone more with my Iowa City peoples, and they’re fired up for the nationally televised game between the Iowa Hawkeyes and Arizona. Their enthusiasm convinced me to drive the whole way. Since the game is in Tucson, it’s getting a late, West Coast kickoff. The rain is a pisser for making time, but if I go pedal down, I’ll make Iowa City before the game is over. 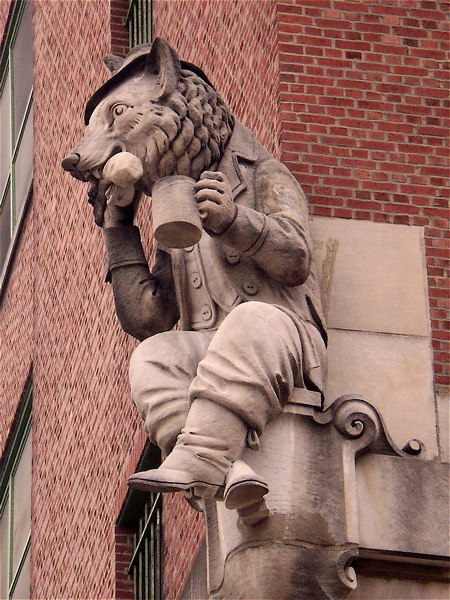 BudWolf, found munching and drinking on the corners of the Anheuser-Busch distillery. Finally I crossed the Des Moines River and entered Iowa. This leaves the long, dark, wet, and cold 90 miles up the Avenue of the Saints, from Keokuk to Iowa City. It sucked because I was out in the middle of nowhere and my cell service kept cutting in and out. The radio is telling me to take shelter and watch for sky to ground lightning, which is playing hell with my AM radio reception. It was quite a light show I must say, but overly dramatic – and I couldn’t hear the damn game! In order to keep apprised of the Iowa score I’m having to text, which works fine in any weather. You gotta love texting – it comes through in a pinch. I make downtown Iowa City at 11:30 PM, so 16.5 hours of driving – and the third quarter is just ending. As I park the Element a raucous cheer erupts throughout town. Iowa City has around 50 bars in a five block square, essentially integrated with the campus, where 30,000 plus students run wild. All of these bars are packed with Hawkeye fans. When they cheer its loud and you can feel it. Cardinal’s stadium in downtown St. Louis. I’m slightly stunned after being in my travel bubble for so long. I’ve talked to folks on the phone most of the way, but that’s not nearly the same as walking into a packed college bar, with a couple hundred people who have clearly been drinking since dawn and are incensed by their football team. 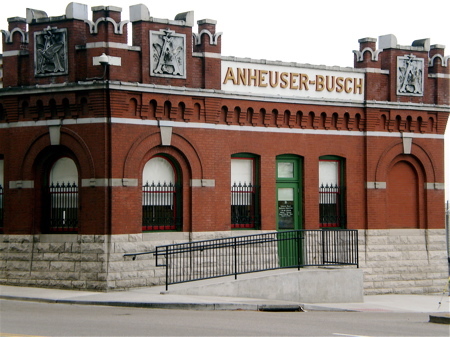 There’s also a live band playing in the back performance room of the Blue Moose Tap House, http://bluemooseic.com. I meet up with my friends and try a drink, but there is no way I can catch up with this crew. And my adrenaline is burning off after having completed my drive. Iowa intercepts a pass and runs it in for a touchdown. The Hawks are up with a minute and a half left. All they have to do is hold Arizona. This is when you begin to worry as a Hawk fan. And sure enough Arizona marches right down the field to score. Game over. The reason I made this journey was to interview my good friend, and talented musician, David Zollo. 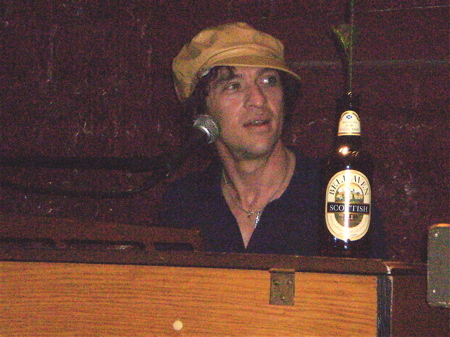 He’s a wonderful piano player, who fronts his own band, The Body Electric, and is currently in the studio recording his most ambitious CD to date. I hung out with David and his band for three days at Flat Black Studio, in Iowa City. Owned by Luke Tweedy, who runs the board, Flat Black is a custom-built studio Luke and his cousin, musician William Elliott Whitmore, constructed in the attached garage to Luke’s house. It’s a very comfortable environment for artists and Luke runs a fun shop. I had a great time watching Dave construct his songs. Laying bass and drums down first, then layering guitar and piano next and adding scratch vocals to make the songs functional. I hadn’t seen this done before. Usually lower budget bands have to essentially cut their tracks live, with minimal takes, to save time and money. This is an important record for Dave, and he’s taking his time with it. One of his lead guitar players lives in Chicago, so The Kid will re-cut most of the original guitar and bass lines, to add fatter solos. Dave also is having horns added, by a friend in Omaha. Then Will Whitmore, and some other folks are looking to contribute some duets, then Dave will add his final piano takes and vocals, after hearing the inspiration building beneath each song. Here is where modern technology is hugely beneficial. By recording digitally, instead of on tape, the scratch tracks can be e-mailed to the additional musicians not living near by, and they can add their creativity, e-mail them back to Flat Black, and not incur travel expenses. The songs are amazing, lyrically. Dave’s been through a lot in the last couple years, and he’s poured those experiences into his writing. He’s currently touring in Italy, and the disc is slated for release in early 2011. I will have a story to go along with the release date in the alternative monthly publication, Little Village, http://littlevillagemag.com/content. While in Iowa City, I stayed with my friends Cliff and Andrea. They’re da Bomb! Thanks y’all! We did journalism grad school together, and it was great seeing them again, and having a moment to hang out. We didn’t have too many moments of clarity, but that’s a good thing. Cliff and I hit a great show early in the week at a somewhat clandestine club called White Lightening. It’s an artists enclave, in an old warehouse, tucked behind some apartment buildings. With Iowa City having recently passed a 21-only law for those allowed into bars, all-ages basement shows, house parties and gigs at White Lightening are gaining in popularity. There’s a Quick Trip on the corner of the alley, so you can pick up beer and wine before hitting the show. Local electro-synth tapers, Wet Hair, provided the opening tunes. The late show was Grass Widow, a psychedelic punk-surfer chick band from San Francisco. They were a three-piece band and a ton of fun. We had a blast till like 3:00 AM. This trip was very eventful. I managed to get up to Cedar Rapids to see Dave Zollo play, with my writer-friend Andre Perry. That was mandatory after seeing Dave piece together songs for three days, it was like a slow tease – similar to a distillery tour. They take you past all this alcohol being crafted, you get a thimble full or two, but when the tour is done I need a full drink. Same feeling with the recording process. Dave and his band put on a great show at the Piano Lounge, and Andre and I ended up partying at the Yacht Club and the Mill in Iowa City till the early morning hours. I believe I slept in my car that night. I also got some time to hang with Dave’s older brother, Mark. We go way back, to the trouble we caused as undergrads, and continue to wreck at our advanced age. We had a great time watching some NFL and blasting tunes. And I got to hang with their Dad, Rick, which is always an eclectic pleasure. The man knows his literature and music. In the midst of all this socializing, I was also on deadline to provide content to the alternative weekly publication in New Orleans, Gambit, for its fall restaurant review guide. I ended up speaking with 75 restaurants in the greater-New Orleans area, and wrote brief 70-word descriptions for each. These were published in the October 12 issue. I must thank Marsha and Rob Vollkommer, my wife, Mïa’s, family. They live in Galena, Ill., and by the time I got to them I was worn out, short on time and desperately close to my deadline for Gambit. Galena is somewhat remote, especially out in the territory where Rob and Marsha live, so my cell phone and broadband reception was sketchy at best. They were kind enough to allow me to abuse their landline and Internet so I could contact the majority of these restaurants. I ended up finishing the reviews at a truck stop just north of St. Louis. Below is a link to the reviews. They are broken up by neighborhood. I did most of the restaurants starting with the letter ‘M’ and continuing through the letter ‘P’. I believe in the end we reviewed over 900 restaurants, not including any major restaurant or fast food chains. While it was great to spend time with so many friends and family, I also want to mention our clan lost one of the patriarchs of our family while I was traveling. Mïa’s grandfather, Bob Merritt, of Carroll, Iowa, passed away on Sept. 20th, the Monday after I arrived in Iowa. Bob was a great man – funny, intelligent, talented and incredibly knowledgable about Iowa. I wouldn’t say I knew Bob well, mainly because we didn’t see each other that often. Carroll is in the northwest portion of Iowa, and removed from, well, everything. Other than a couple visits Mïa and I made for pleasure, all our other trips to Carroll involved funerals, which aren’t always the best moments for idle chit-chat. 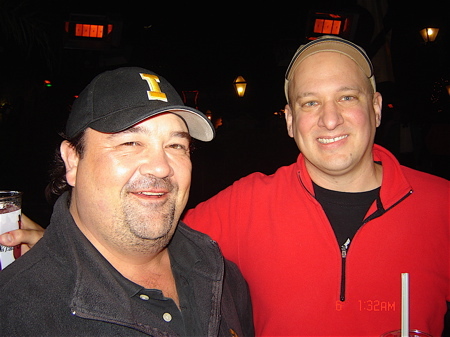 But Bob was always approachable, hospitable, loved his easy chair and the Iowa Hawkeyes and Iowa State Cyclones. He lived a long, successful life, and was blessed by his lovely children and their many grandchildren and great-grandchildren. My condolences go out to Marsha and Jon, Bob’s surviving children, and to the rest of the family. Below is a link to the obituary that Marsha wrote, which was published in the Carroll newspaper. Upon returning to New Orleans, Mïa and I had taken in a British house guest. One of my family’s oldest friends in Kentucky, Judy Turner, whose oldest son, Jeff, lives in Minneapolis, and whom Mïa and I stayed with when traveling the country after Katrina in search of a graduate school for me, is married to Nicola (who is British). 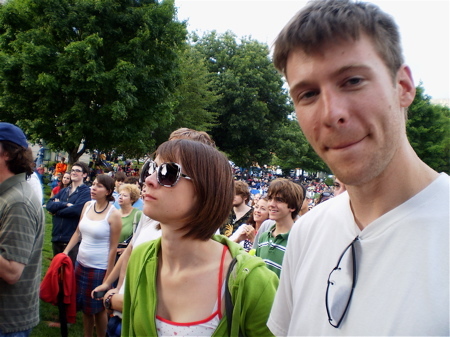 Her younger brother, Sam Hinton, recently completed his legal education and earned a seven month appointment with Reprieve (http://www.reprieve.org), an international non-profit organization that assists disadvantaged death row inmates with their legal representation. Being New Orleans is less technologically savvy than many cities, it can be difficult to find housing through normal online avenues, such as Craigslist, so Mïa and I offered to put Sam up until he could find a home. And finally the reality television gig continues, so I will return to that story line briefly in subsequent posts to fill in the details. Thanks for hanging in there and I’m planning to post several quick hitters today and tomorrow to get caught up, and then we’ll move forward with the Halloween festivities in New Orleans. This entry was posted in Food, Music, Reviews, Travel and tagged Andre Perry, barbecue, bbq, Cozy Corner, David Zollo, Flat Black, GrassWidow, Gus's Fried Chicken, Iowa, Iowa City, Kansas City, Luke Tweedy, Memphis, Ole Miss, Oxford, Peabody, Peabody Hotel, Rendezvous, St. Louis, University of Iowa, William Eliott Whitmore. Bookmark the permalink.